One of the most efficient way for institutions to reduce all administrative paper work and the most secure option for students. 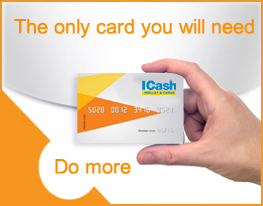 This Card is used to make educational institutions into a completely cash less environment. Student can use it within the college to pay any fees (library fees, semester fees, bus fees, hostel fees etc) and even at the canteen. 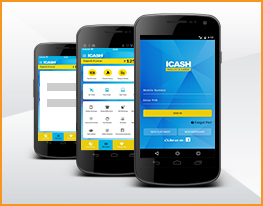 Further more shops around the college will also be iCash enabled so that Hostel students will find no problem in using the card for their other expenses like eating out, stationary, toiletries etc. Apart from this the student can also avail other services like data cards, insurance etc at highly discounted rates. This card also has bonus features and can have attendance marking system and various other details of the student. All the details and many more can be viewed at anytime by logging onto the website with the card number and pin number.